I work on fretted instruments in all facets of repair. The guitar you bought on the internet or at the local Guitar-Mart isn't playing as well as it could. I specialize in adjusting these instruments to your needs. They sold it to you broken, let me fix it for you. 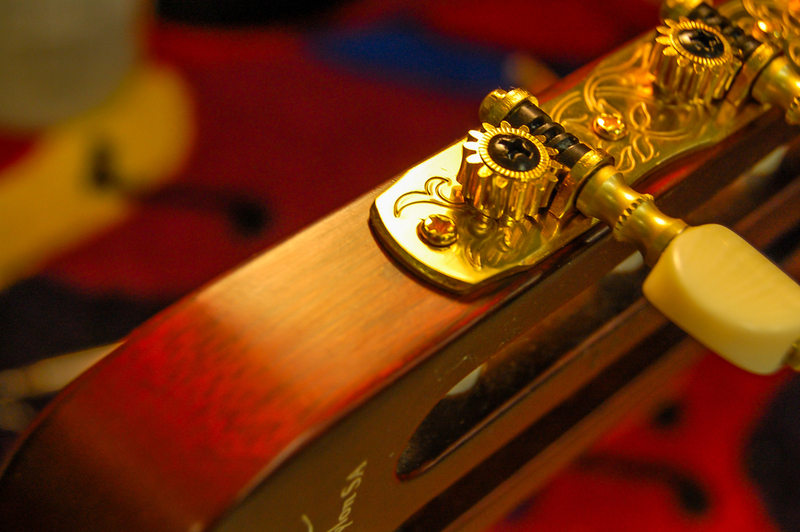 There are a tremendous amount of modifications we can make to any instrument that will enhance its playability and tone. Are you are looking for a little more versatility from your guitar? 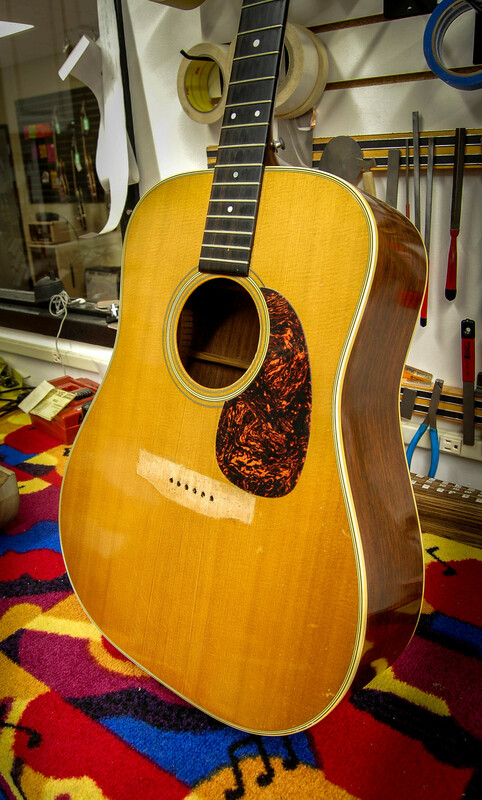 Would you like a pickup installed in your acoustic? 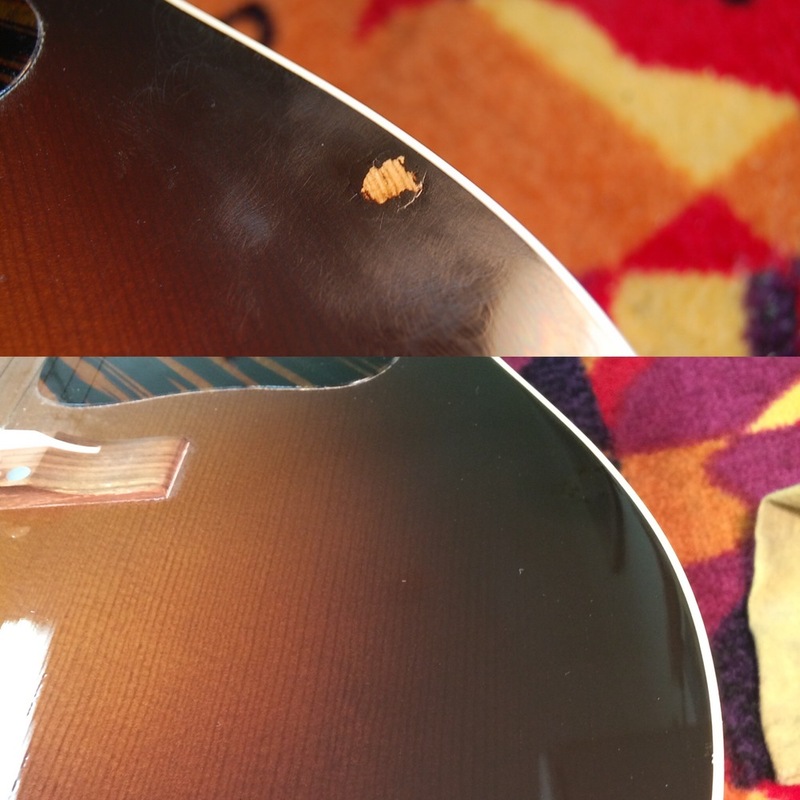 Before and after fret dressing. 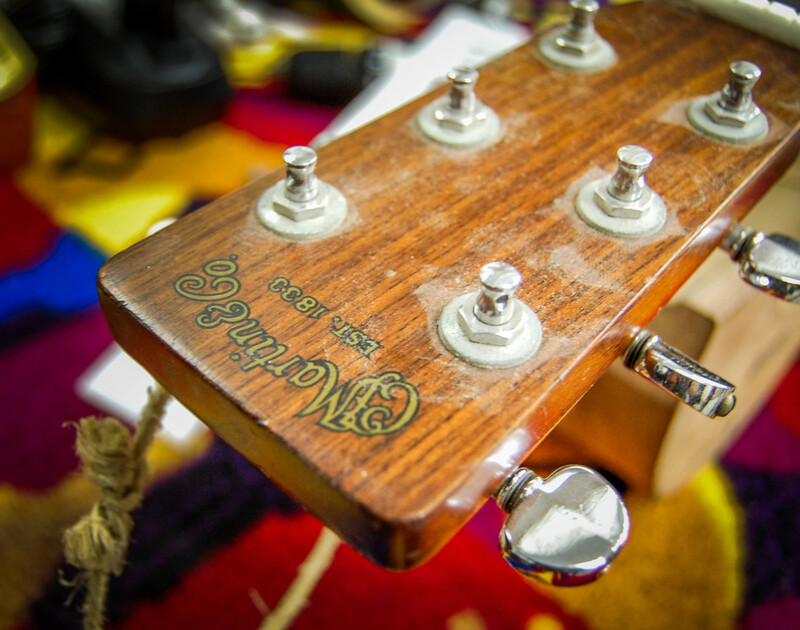 Over time, the strings on your instrument will damage the frets. The wear and tear is visible in the form of divots, pits, and a flattened appearance. 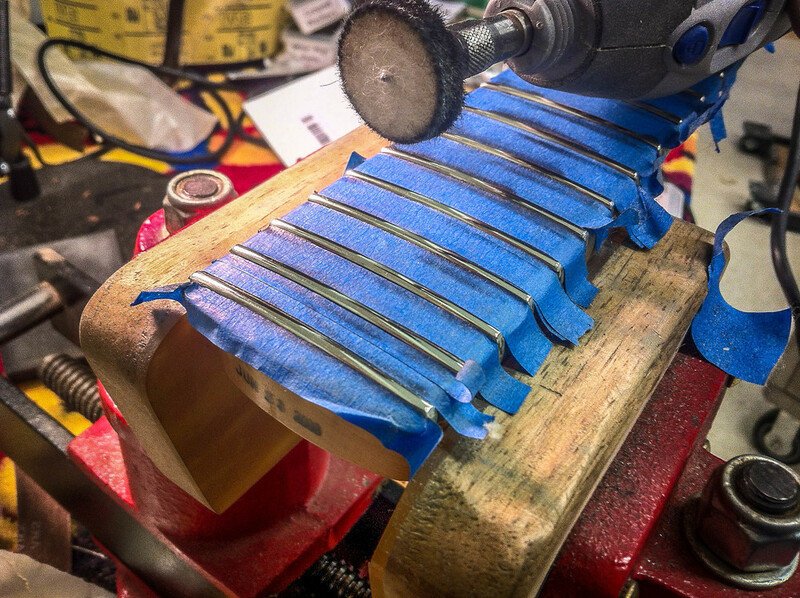 A fret dressing involves removing the damage by sanding and filing the frets until they are uniformly level across the fingerboard. Once they are perfectly flattened, we round-over (crown) the fret and polish them to a high luster. 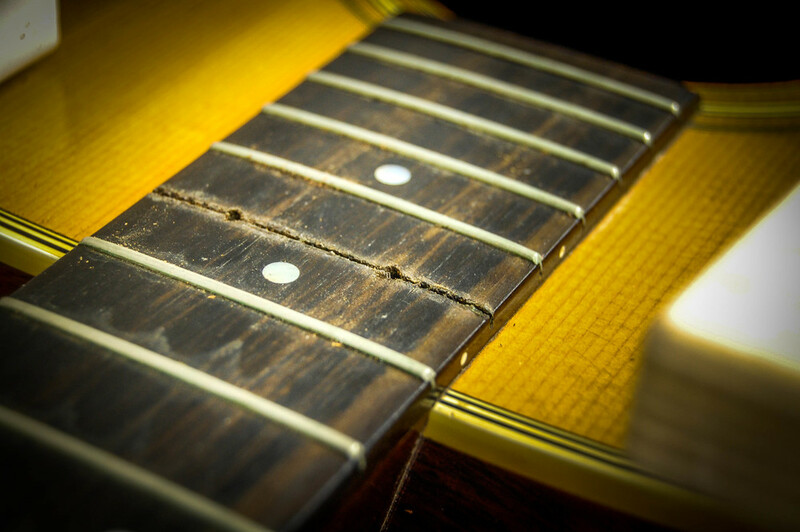 When frets become too worn, they need to be replaced. We carefully remove the existing frets with heat. 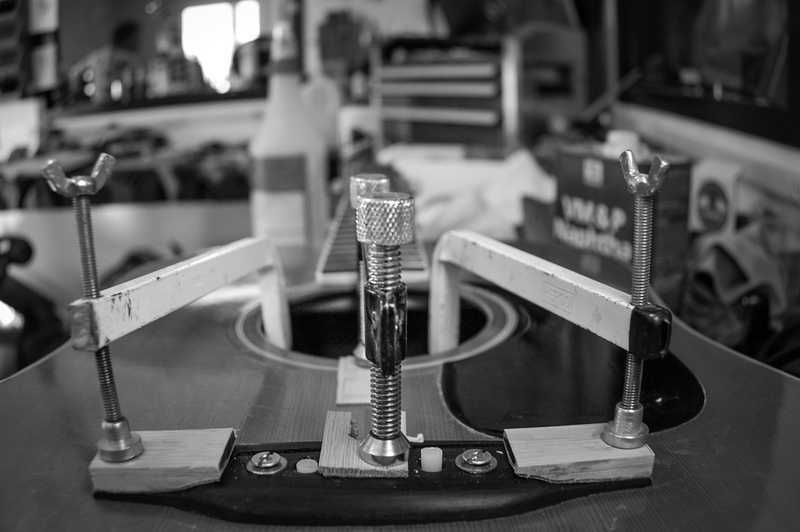 At this time we address any fingerboard issues. Then we install new frets and perform a fret dressing..
Fretwork on an instrument has to be impeccable. The difference between a clear and muted note is thousandths of an inch.